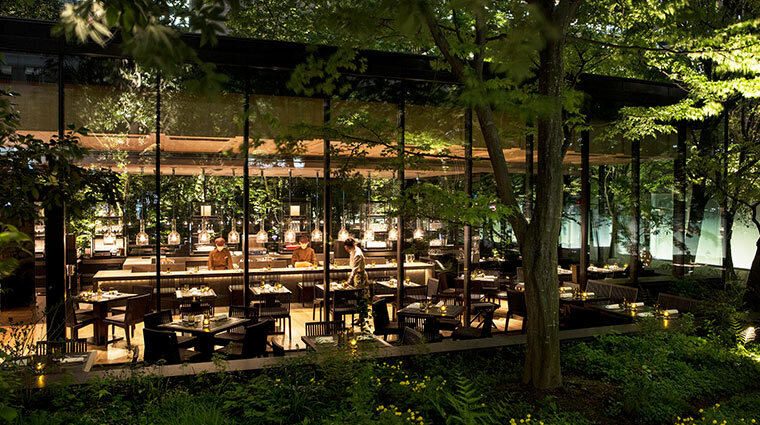 Hidden in Tokyo’s business district on top of a 40-story glass office tower, you’ll find an urban sanctuary in Aman Tokyo. Aman is the Sanskrit word for "peace," and that is exactly what this hotel delivers: tranquil, exclusive relaxation. Escape from the madness of the megapolis in the hotel’s patch of trees and greenery or in the minimalist, modern rooms. 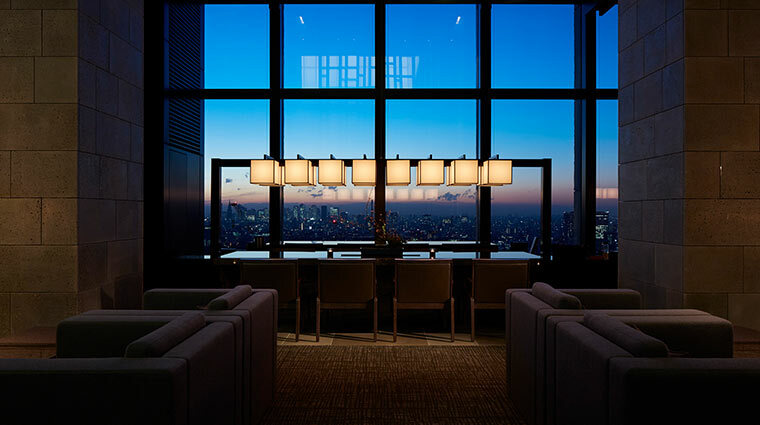 The Tokyo hotel was the first city property for Aman, a company that specializes in slick, distinctive design in far-flung locales. 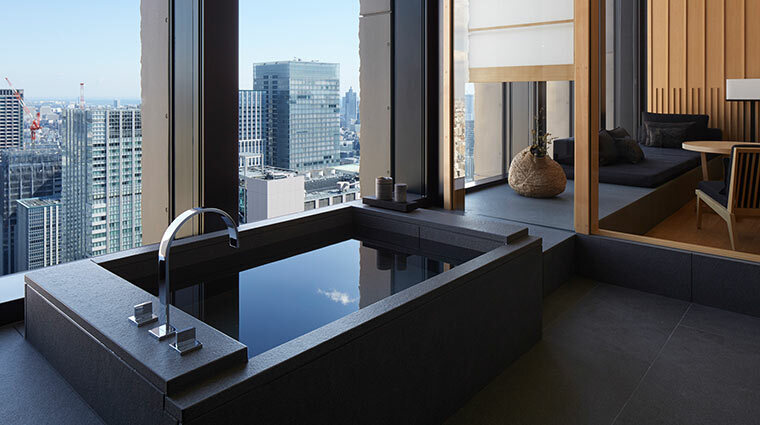 But the urban retreat on the top of the Otemachi Tower differs from the usual business hotels. A library in the lobby is equipped with chess sets and books focused on Japanese art and culture, while the serene spa provides opportunities for relaxation. 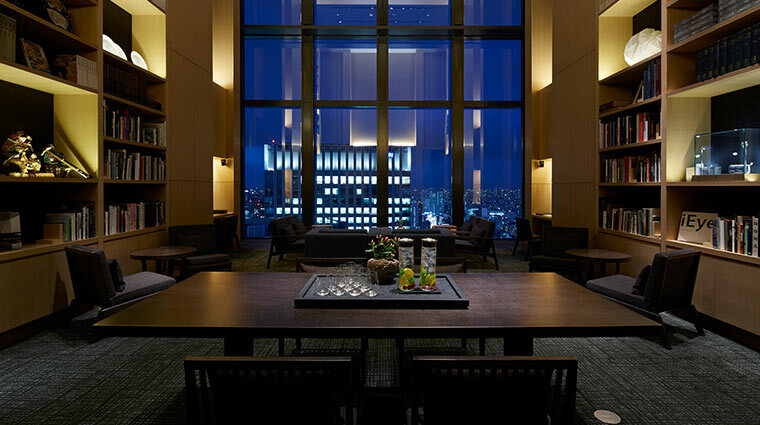 Aman Tokyo’s prime location puts guests in the Otemachi district, with easy access to Tokyo Station and the exciting Nihonbashi district. 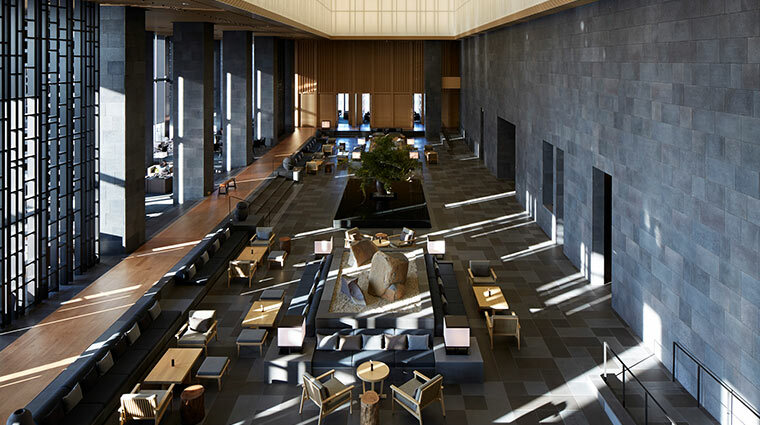 Designed by architect Kerry Hill, Aman Tokyo’s interior is built in traditional Japanese style using natural, locally sourced materials: basalt stone, cypress wood and washi paper. The forest has been brought to the city — 186 Japanese trees planted at the entrance are a welcome break from the skyscrapers and concrete towers of the city. 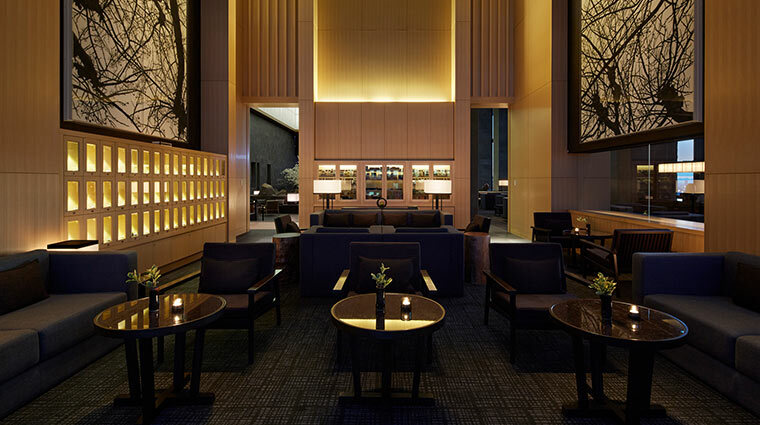 The Aman Lounge is a chic spot just off the lobby. When you’re looking for a cosmopolitan view, the bar is directly in front of windows offering a vista of the cityscape and is lit with washi paper lanterns. Try Fumoir, the cigar lounge next to the bar. It’s an ideal place to relax with a glass of port and a Habanera after dark. 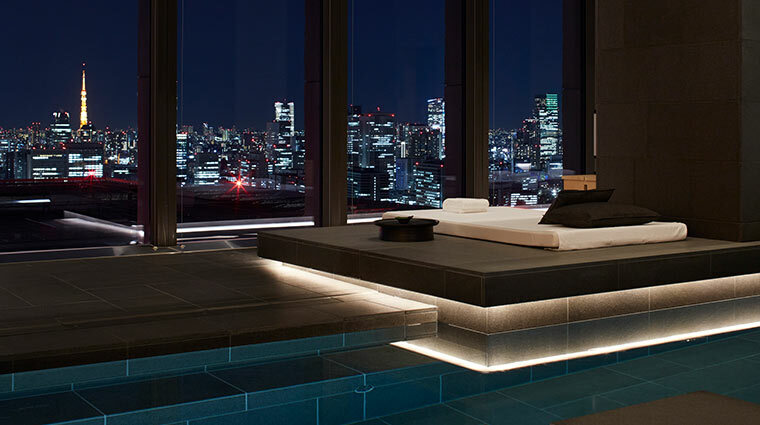 The breathtaking Aman Spa on the 33rd and 34th floors is the biggest in Tokyo. 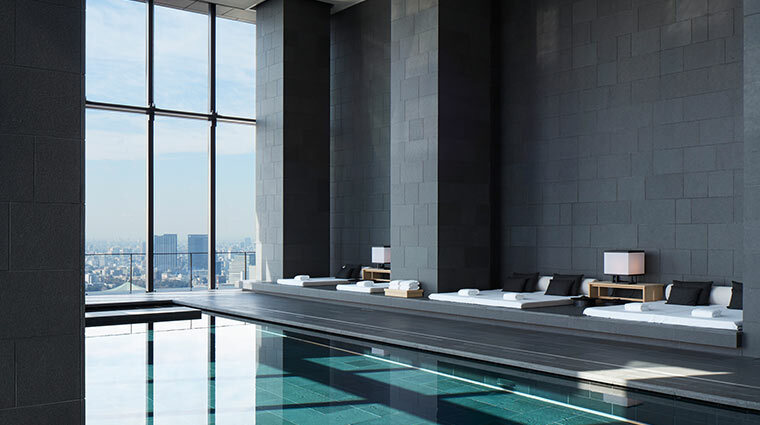 A gym, a yoga studio, onsens (or hot baths) and a striking black basalt swimming pool are within the expansive spa. 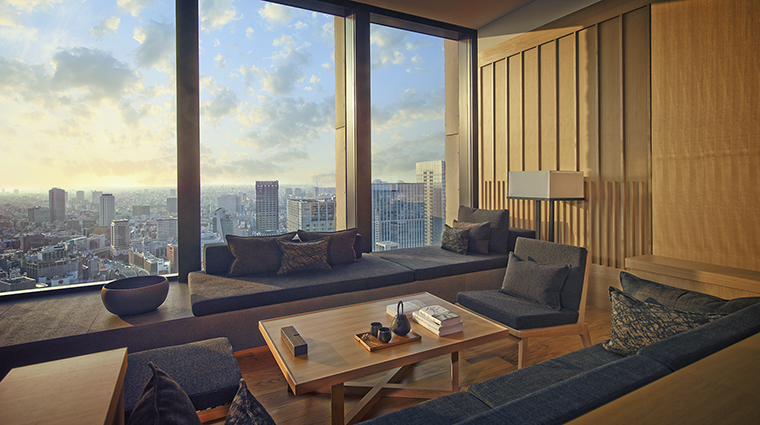 Japanese wood paneling and a terrace with a view of the city make it a one-of-a-kind experience. The spa uses its own brand of exquisite chemical-free products made in Australia. Afternoon tea is served daily in the lounge (on handmade bamboo stands). Dishes include sweets by patissier Yoshihisa Miyagawa and are paired with traditional green, black or herbal teas. 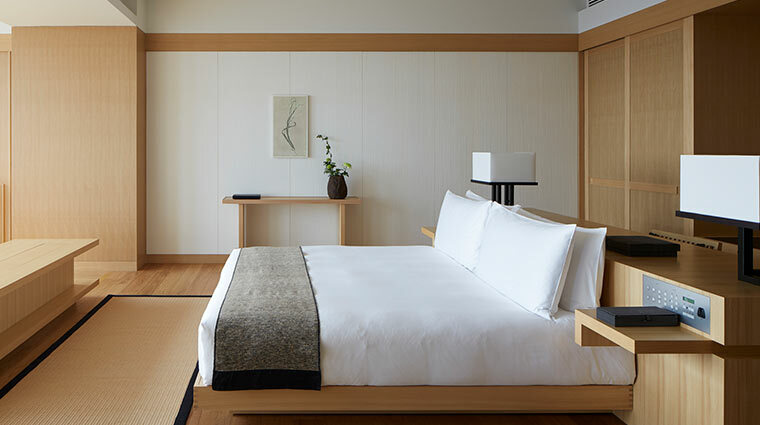 The 84 rooms and suites of the luxury hotel are arranged in Japanese residential style — simple and luxurious. Each room is a nod to Japanese culture with local artwork, traditional ceramics and paper lanterns. Cypress paneling and chestnut wood flooring give the spaces an earthy, warm atmosphere. 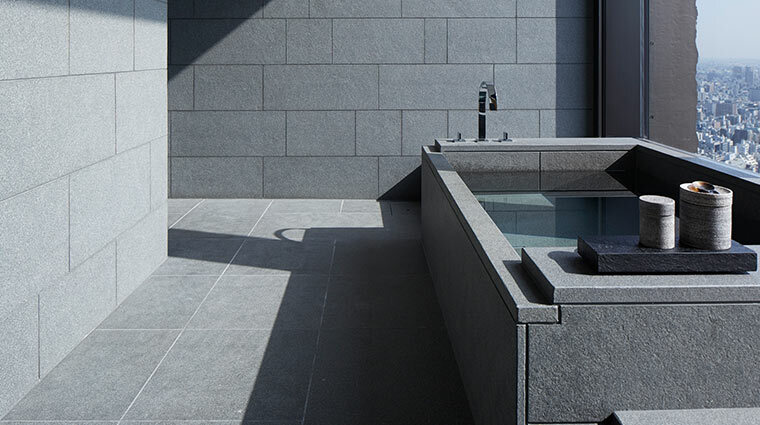 The granite baths with heated stone flooring are separated from the rooms by sliding shoji screen doors. 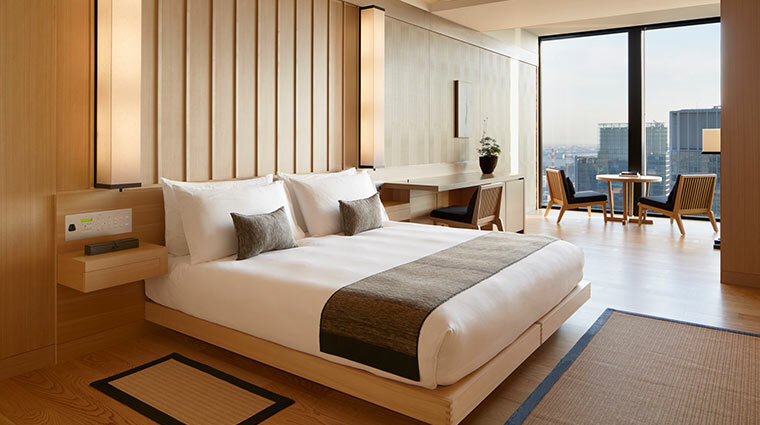 Remote control blackout shades and state-of-the-art entertainment add comfortable touches to a stay at Aman Tokyo. 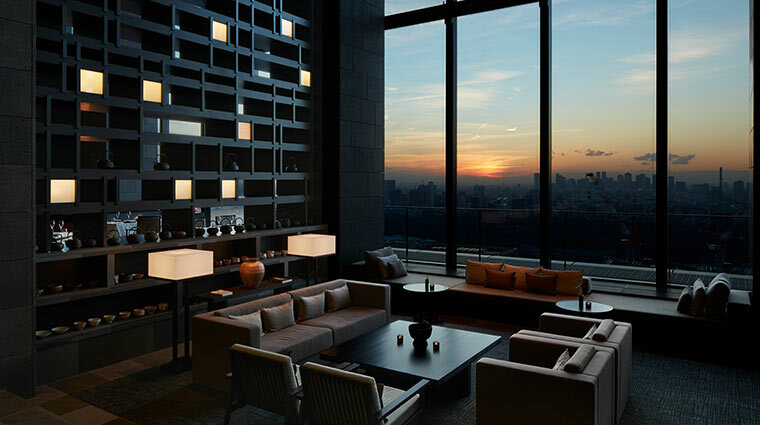 Perhaps the best perk is that each room has a magical view over the Imperial Palace, Mount Fuji or Tokyo Skytree. The Restaurant serves fine Italian meals featuring Yamagata wagyu beef and housemade cannoli desserts in a dining room that overlooks Mount Fuji. The menu at The Restaurant changes three times a year to ensure that you don’t get bored. Set in the swatch of forest outside the hotel’s main tower, The Café by Aman is a fabulous French-style café dishing out fresh crepes, salads and pâté along with outstanding desserts and chocolates made on the premises. There’s nothing like a glass of champagne outside in the shade of the trees of Central Tokyo. Breakfast at Aman Tokyo is fast gaining a solid reputation, with Japanese and continental options available.